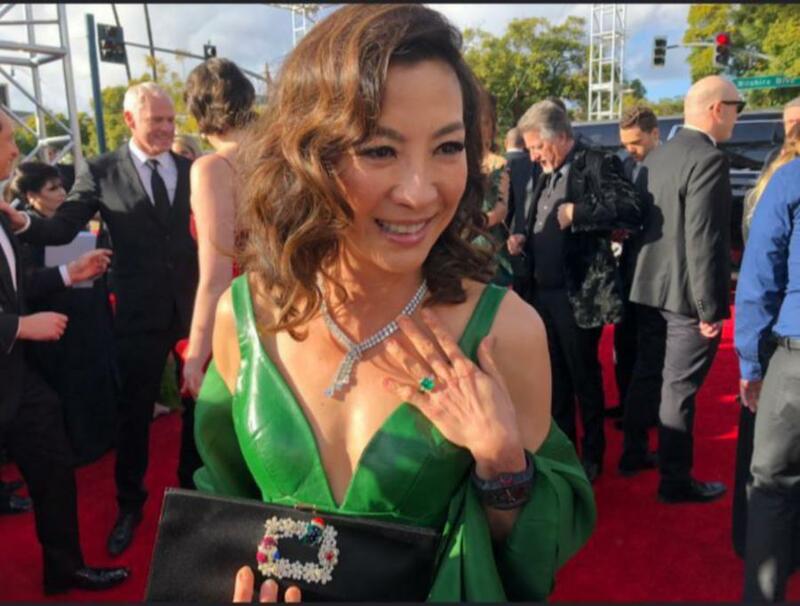 Michelle Yeoh wears actual emerald ring from “Crazy Rich Asians”. Did you know high-end jewelers never used to loan emeralds to celebrities? It is only at recent red carpet events that we are seeing emeralds. Why? colored stones are selling and Golden Globe images showcase brands stunning jewelry better than advertising.